The number of homes sold in Ohio jumped more than 10 percent in February, as the market posted gains in activity for the 20th consecutive month, according to the Ohio Association of Realtors. According to OAR President Thomas Williams, "Buyers are taking advantage of the ideal conditions prevalent in today's marketplace, with historic low interest rates and attractive pricing." Additionally, inventory of homes for sale remains at all-time lows and the number of days on the market continues to shrink. Locally, the number of listings is down -6.25% and the median list price is down -3.57%. The most common question we are asked is “How’s the Cincinnati housing market?” We are constantly keeping our ears to the ground and want to provide you with both the macro and micro view of the economic issues of housing. If you are looking to buy or sell, remember that all housing is local, so it is most important to understand the sales picture in your immediate neighborhood. • Households are gradually paying off debt. • Credit is more accessible. • Consumer confidence has rebounded significantly since June 2011. • Employment trends appear to be improving. • Affordability is rising because of rock-bottom interest rates and housing price declines. Indications show that the broad economy and the housing market are both moving towards positive growth. Some issues still affect the outlook…slow global economic growth, possible recession in Europe, and fiscal and political uncertainty here at home. However, overall we see improving prospects for 2012. Statistics are positive for buying here in Cincinnati. The latest analysis was produced by the National Association of Homebuilders. Assuming a 10 percent downpayment and mortgages at "today's mortgage rates", 75.9% of all homes sold nationwide were affordable to home buyers last quarter. Even better, Cincinnati homes were affordable by 88.4% of Cincinnatians.earning the area's median income. The outlook indicates gradual, but steady, improvements in the economy and the housing market because of the low interest rates and brightening job market. Inventories have been going down. Contact the Cincinnati Team directly and we will research the micro view of your homes’ neighborhood. Mary Elsener and Saralou Durham are here to meet your housing needs and wants! Existing-home sales slowed slightly during the month of April according to a recent report by the National Association of Realtors (NAR). 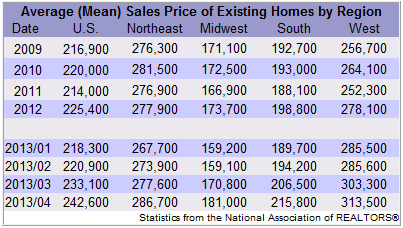 Existing-home sales, which include recently purchased single family, townhomes, condominiums, and co-ops, fell by 0.8 percent to a seasonally adjusted annual rate of 5.05 million units nationally. Lawrence Yun, NAR chief economist, believes the market can do better. 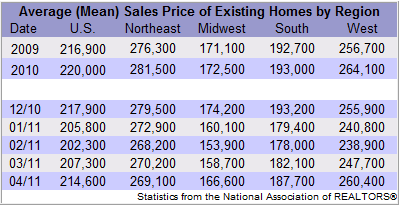 "Given the great affordability conditions, job creation and pent-up demand, home sales should be stronger," he said. "Although existing-home sales are expected to trend up unevenly through next year, unnecessarily tight credit is continuing to restrain the market, along with a steady level of low appraisals that result in contract cancellations." Total housing inventory increased 9.9 percent by the end of April to 3.97 million existing homes for sale. This represents a 9.2-month supply at today's current sales pace. Freddie Mac reported the national commitment rate for a fixed-rate conventional 30-year mortgage was 4.84 percent in April, unchanged from the month before. Local Market Monitor, a North Carolina firm that provides investors with analysis on local conditions, has named Cincinnati to its Most Undervalued Cities List. Interestingly, we are one of five Ohio cities on the list of 15 that are undervalued. The company looks at economic and population growth, construction costs, vacancies, household income and interest rates. Employment and job sector growth figure into the equation heavily. They also evaluate metropolitan areas where buyers would tend to pay more for homes because it is considered a more desirable location. San Diego, because of weather and ocean-side location, would have such a buyer's premium. Two cities received their worst possible rating, "Frankly Dangerous". Those were Las Vegas (home prices down 52%) and Orlando (home prices down 39%). The other eight overpriced markets were Anaheim, San Jose, New York City, Suffolk-Norfolk (Long Island), NY; Los Angeles, Portland, Edison, NY; and Poughkeepsie NY. Las Vegas is undervalued by 28% and the most undervalued market, but bad news on its employment picture and overbuilding causes it to be rated as the worst market. Cincinnati has been undervalued by 15%, but our employment expectations and mix of job concentration ranks it as as a good value, with prices undervalued. Good news for us! The Hyde Park East Committee is on the agenda for the Oakley Neighborhood Council meeting on Tuesday, August 3 at 6PM at the Oakley Community Center in Hyde Park Plaza...do we all realize how intertwined these neighborhoods are anyway...meeting at the Oakley Community Center in Hyde Park Plaza, oh, my! So what's the beef? In the Fall of 2009, the Multiple Listing Service of Cincinnati began classifying most streets in Hyde Park East as being located in Oakley. Hyde Park Neighborhood Council had always considered the area as part of Hyde Park and for 40 years, the MLS had classified the area as Hyde Park. Residents have 400 signatures on a petition to bring their area back under Hyde Park in MLS and with the Neighborhood Council. How did this happen? MLS started to enforce the areas using CAGIS(Cincinnati Area Geographic Information Service) maps. CAGIS says that they did not change the boundaries, but followed the Cincinnati Community Council Boundary Map. In the research done by the Hyde Park East Committee, the area is always shown as Hyde Park. If you want to see the video they put together for the Oakley meeting, go to www.hydeparkeast.com. The committee under the leadership of Jeff Orschell, Ward Smith, Terry Eschmeyer and Mike Mathias, have carefully researched the history of the area. They have been given time to make a presentation at the Oakley Community Council meeting. Show your support by going to the meeting...a strong turn out will let them know how important this issue is to the residents of the area.